It’s no secret that E-Learning Heroes is a one-stop shop for great content and support ... but are you getting the most from your E-Learning Heroes experience? Are you a power user? Being an E-Learning Heroes power user means you’ve mastered all the tips and tricks for connecting and interacting with your fellow heroes. You’re staying on top of hot discussions, sharing your favorite content, and helping us keep E-Learning Heroes in position as the go-to, trusted source for top-notch advice. Participating in a lively discussion is a great way to connect with and learn from peers, but in a lengthy conversation, it can be easy to lose track of which comment your reply is referencing. That’s where the quote feature can come in handy. 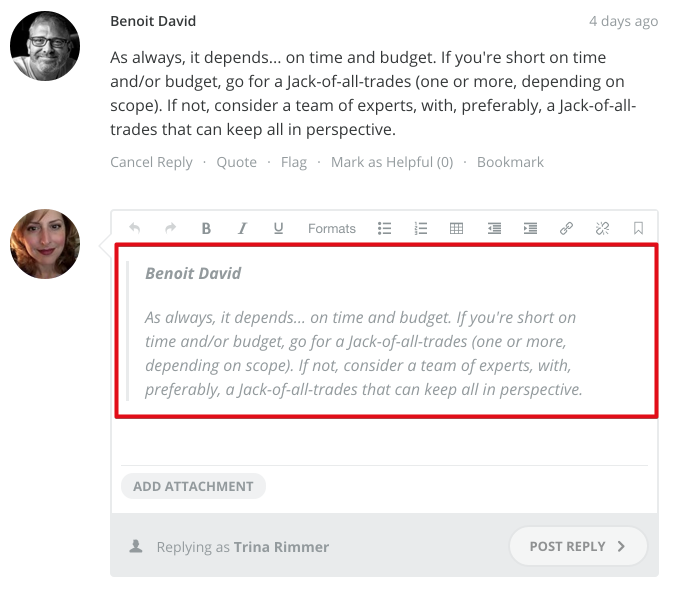 To build context for your comments or respond to a specific point made in someone’s else’s comments, simply click on the quote link below the comment. This results in a new reply textbox with the other person’s comment excerpted for easy reference. You can leave the other person’s entire comment in place or delete the parts you don’t need to make the context of your response even clearer. Want to reference a specific comment? 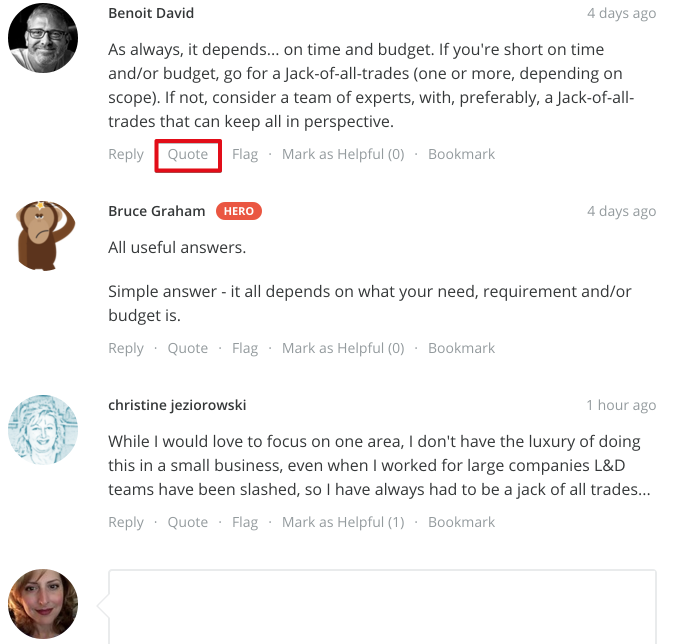 Just click the timestamp on the top right to refresh your page with a link that anchors directly to that comment. Easy, right? E-Learning Heroes also makes it super easy to keep tabs on specific discussions and articles with the bookmarking feature and the subscribe feature. Bookmarking gives you a quick way to save your favorite articles and discussions for later. You can bookmark an entire article by simply clicking on the bookmark link at the top of the article page. To save a specific discussion, click the bookmark link under the comment. E-Learning Heroes also organizes your bookmarks so you can quickly and easily find them later. Simply click on your profile image to reveal a drop-down menu. 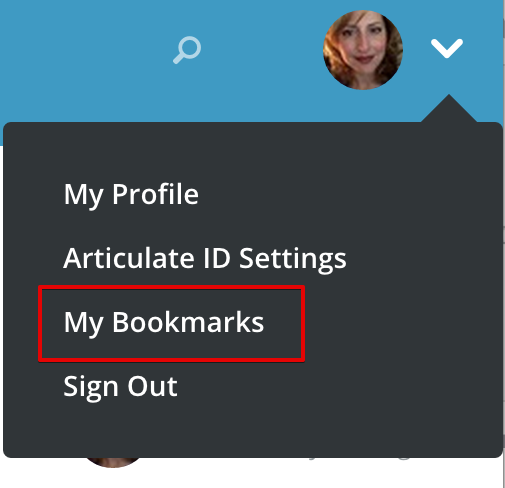 Click on “My Bookmarks” to display a page with all of your bookmarked items. Click the Articles tab to narrow in on your bookmarked articles, or the Discussions tab to see only your bookmarked discussions. Another way to make sure you never miss out on the conversation is by subscribing to articles and discussions. To subscribe to an article or discussion, simply click the Subscribe link at the top of the page. 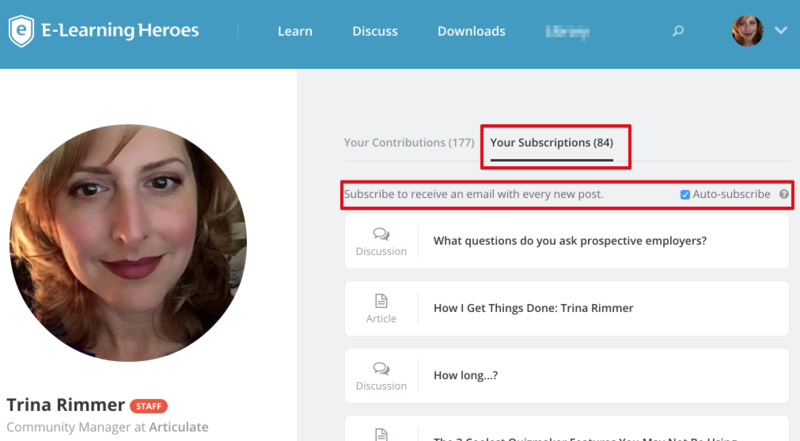 By default, E-Learning Heroes will email you with every new comment on any articles or discussions to which you’ve subscribed. To see and manage all of the articles and discussions you’ve subscribed to, select the My Profile option under your profile drop-down. To unsubscribe from a discussion or article, hover your mouse over it and click the X button. Found a great article you’d like to share with your peers? E-Learning Heroes makes that easy, too. You can share articles, discussions, and downloads. 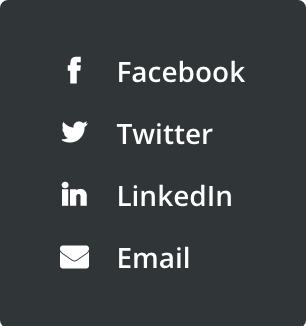 Hover your mouse over the Share link at the top of the article or discussion page to view and select sharing options—Facebook, Twitter, LinkedIn, or email. Stumbled upon some inappropriate remarks or comment spam? Despite our best efforts, abuse of the E-Learning Heroes community happens from time to time. When you spot blatant spam or comments with inappropriate language, help us out by clicking the Flag link underneath the comment—and we’ll get right on it! 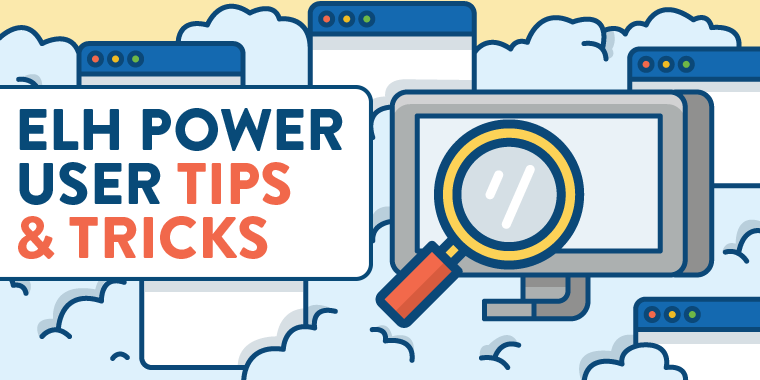 What are your favorite E-Learning Heroes power-user tricks or shortcuts? Spill the beans by sharing your comments with us below. Follow us on Twitter and come back to E-learning Heroes regularly for more helpful advice on everything related to e-learning. What Information Do You Include In Your Storyboards? What Questions Do You Ask Prospective Employers? E-Learning: Should You Build It or Buy It? How to Maximize Your E-Learning Heroes User Profile - Updated with New Features! Learning Objectives: Do They Really Matter? What is Design Thinking and Why Does it Matter? Excellent overview of all the forum features! This should be a 'Sticky' on the landing page. Nice work pulling this together, Trina! Looks great!! Great post Trina, we'll all be power users now! Thanks for the info...I am just getting started and will put these to work! Wow! Just came across this post. Another hidden jewel I plan to put to use.